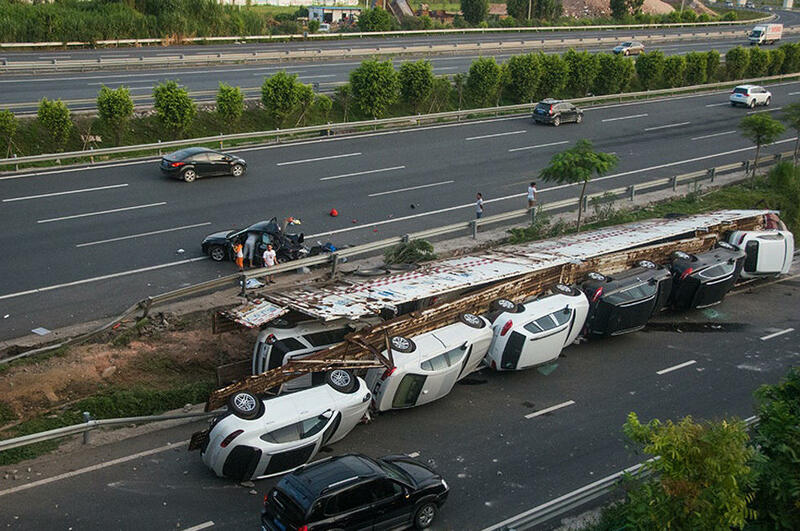 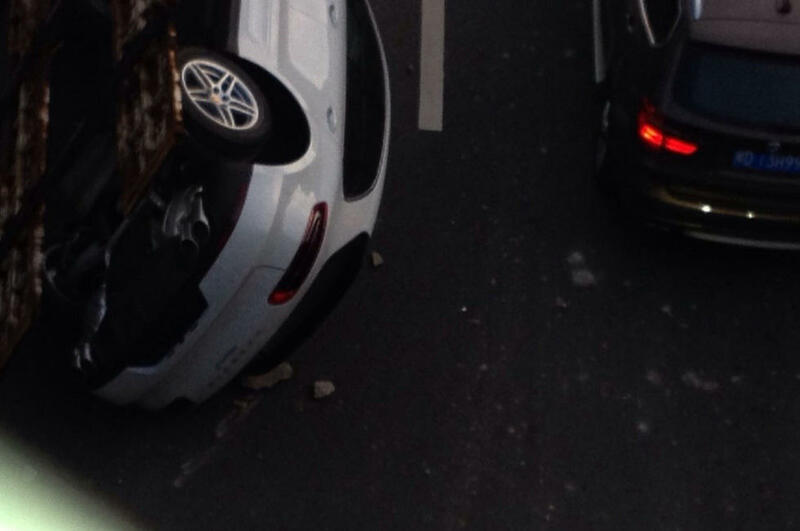 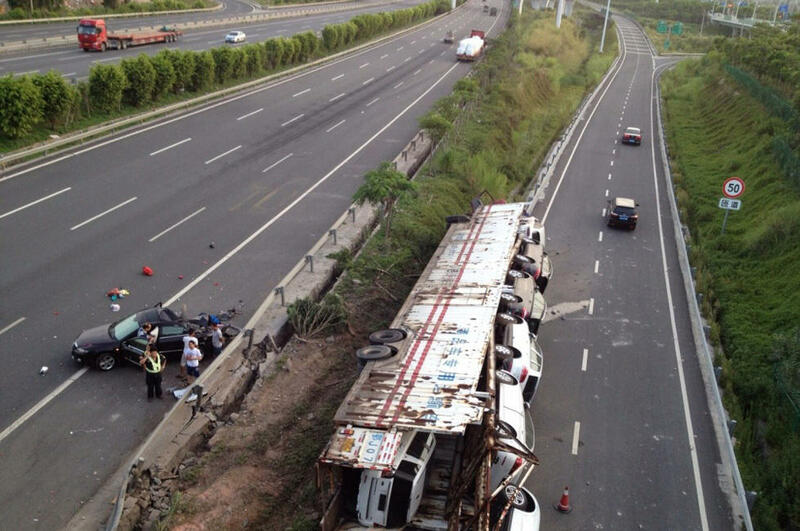 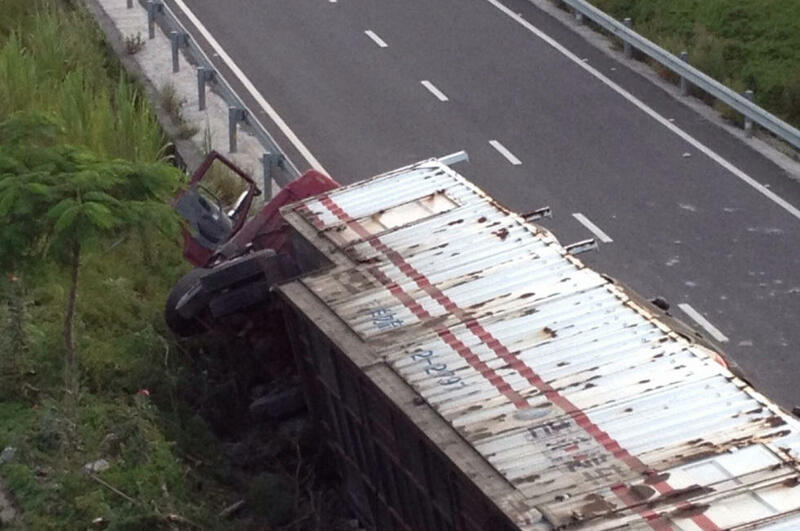 A large truck transporting 11 brand-new premium vehicles, reportedly including Porsches, Land Rovers, BMWs, and Maseratis, flipped over in China on Sunday evening after rear-ending a black Mazda6 sedan. 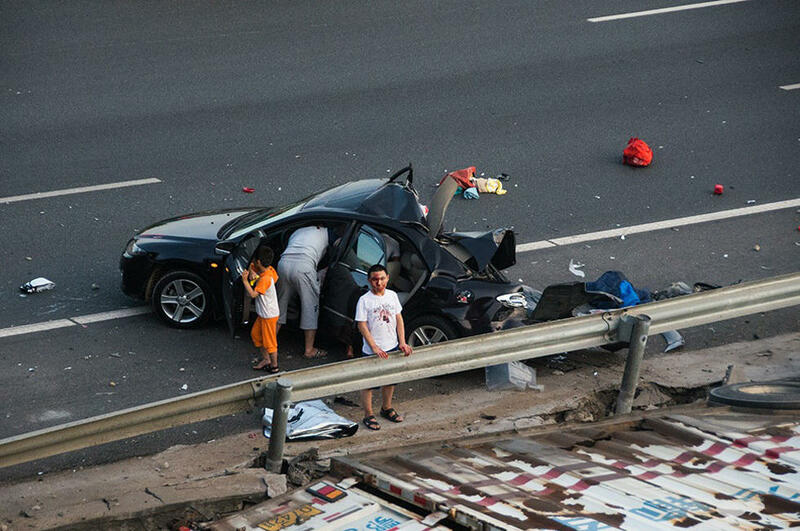 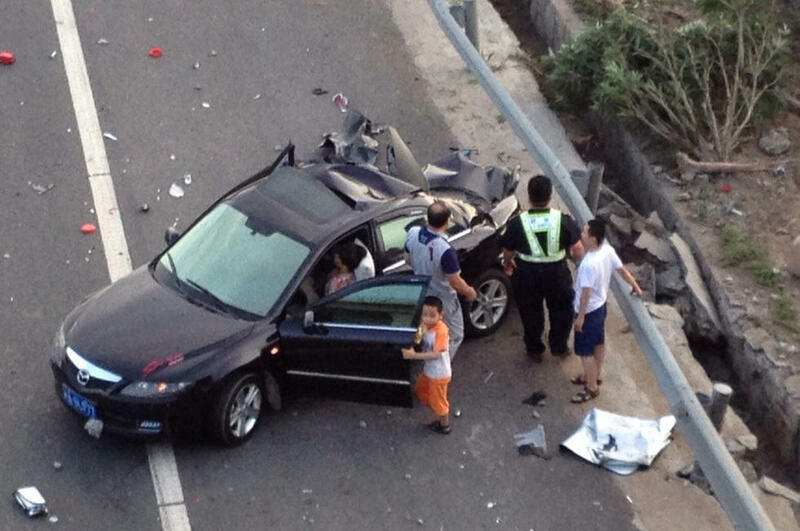 The exact circumstances of the accident remain under investigation, but despite the severity of the crash, Chinese media said no one was killed and that according to eyewitnesses, two or three passengers from the Mazda were transferred to a nearby hospital with non-life threatening injuries. 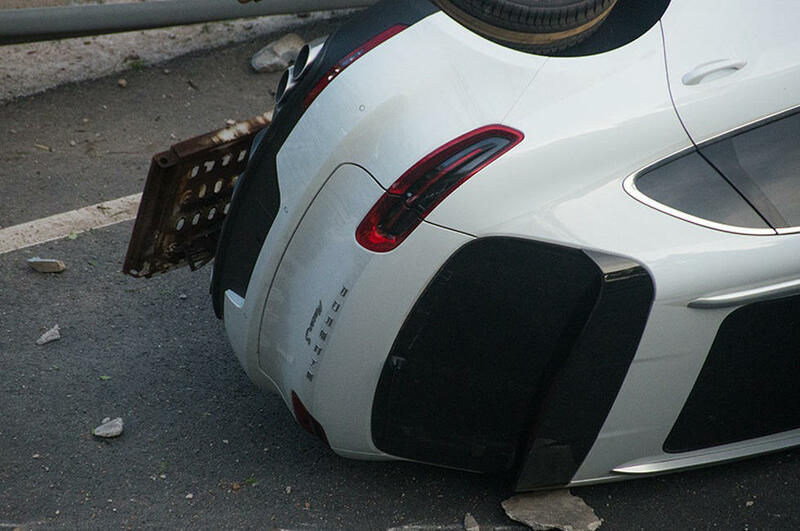 The cars on the truck, among which we see at least two Porsche Macan SUVs, a BMW 3-Series sedan and a Land Rover Freelander, are estimated to be worth around 10 million Yuan, or about $1.6 million.